With sustainable development at the core of the United Nations development agenda beyond 2015, the Asian and Pacific region needs a new development paradigm. Although the integration of the three dimensions of sustainable development – economic growth, social progress and environmental protection – is an agreed priority, the “how” of integration is less well defined. This theme study outlines a conceptual framework and a set of strategies and policy options and then offers perspectives on institutional frameworks for integrating the three dimensions of sustainable development.In doing so, it also emphasizes the urgency of action in a rapidly changing development context while highlighting tremendous opportunities across the region as starting points. The conceptual framework presented underscores the need for four normative shifts in policy stance. The basic conditions of social justice and ecological sustainability must become fundamental policy objectives. A shift from a predominantly short-term policy horizon to one that seeks long-term benefits for all is essential, while expenditures for the social and environmental sectors should be treated as investments. We must move away from a focus on gross domestic product as a measure of progress and develop metrics that encompass the three dimensions of sustainable development. Finally, the resources of the planet are not limitless, and resource constraints cannot always be addressed by technology. It is thus essential to confront the fundamental challenge of minimizing the physical scale of the economy without compromising the capacity of the economy to meet the needs of all people. Integration of the three dimensions of sustainable development requires reformed institutional frameworks and strengthened capacities. High-level political commitment and inclusive and integrated visions are essential for realizing sustainable development. The primary responsibility for achieving sustainable development rests with Governments. The private sector, however, is also vital for realizing sustainable development objectives. Governments must take the lead and become adept at reconciling public and private interests, coordinating policies in different domains, facilitating and engaging a diversity of stakeholders and monitoring progress and policy impacts. The prospects for achieving sustainable development will be defined by the ability of the region to align growth with sustainable development outcomes. The agreed priority of sustainable development — eradication of poverty and hunger — will depend on actions that reshape market and other incentives, lengthen the time horizons and reduce policy uncertainty so that investments in people and the planet can work in tandem to drive a virtuous cycle of growth that continually invests in, rather than exploits, the basis for shared prosperity within planetary limits. Inclusively developed national visions that embrace the integration of the social, economic and environmental domains that reaffirm national commitment to, and set the scene for, further action by stakeholders in their efforts towards integration. for science, technology and innovation. Institutions with clear mandates for strategy and policy coordination at the highest levels of political leadership, where the realization of long-term development objectives requires a “whole of government” approach. Strengthened capacity for stakeholder engagement, where rights-based and participatory approaches create an enabling environment for civil society and stakeholder ownership, engagement and accountability. Specific mechanisms and capacities are needed to engage citizens in establishing societal consensus on the targets for social progress and for respecting planetary boundaries and for monitoring progress towards these targets. This will also require a strengthened science-policy interface and enhanced capacity to deploy analytical and decision-support tools suitable for integrated policy analyses. Institutional mechanisms for monitoring and review, and for creating policy “feedback” loops so that the impact of policies can be assessed across the three dimensions. This includes enhanced statistical capacity and holistic measures of progress. Specific strategic and institutional interventions to incentivize the private sector’s participation in delivering on sustainability objectives, including the legislation of corporate sustainability reporting requirements. Governments recognize the challenges and their responsibility for safeguarding and expanding the potential of both current and future generations. The Asia-Pacific region has many examples of national development strategies that are founded on shared cultural values and that demonstrate the commitment of Governments to implement bold policy innovations with a long-term vision. Experiences across the region showcase the potential for deepening and widening the scope of commitment to sustainable development and for engaging stakeholders in taking action. A regional road map for integrating the three dimensions of sustainable development. Subsequent to a global agreement on the development agenda beyond 2015, Governments may want to establish a road map for the region to facilitate a transformative shift to sustainable development. The road map should define milestones, roles and responsibilities to ensure empowerment, coordination and accountability. Such a road map could emphasize support to countries with special needs. The road map could also identify a research agenda and specific monitoring and review mechanisms, such as an indicator framework and a supportive process, in line with the global agreements on the United Nations development agenda beyond 2015. The Asia-Pacific Forum on Sustainable Development and sessions of the Economic and Social Commission for Asia and the Pacific (ESCAP) can be considered as possible regional platforms for developing and supporting the implementation of such a road map. development. Further regional dialogue and action on strengthening the integration of the economic, social and environmental dimensions of sustainable development in various initiatives present significant opportunities for transformative shifts. The regional consensus represented in Commission resolution 70/1 on implementation of the Bangkok Declaration on Regional Economic Cooperation and Integration in Asia and the Pacific is an important platform for such follow-up action, particularly in the context of the forthcoming second Ministerial Meeting on Regional Economic Cooperation and Integration in 2015. Strengthening regional platforms for promoting the integration of the three dimensions of sustainable development. The Asia-Pacific Forum on Sustainable Development can, among many functions, take a primary role as a platform for policy dialogue and coordination; facilitate mutual learning through the exchange of information and experiences; and facilitate peer review of progress.The region’s Governments can make specific recommendations on the types of support that such a regional platform may best provide. Other ESCAP and United Nations regional platforms must also take further steps, in sector-specific discussions, to integrate the three dimensions of sustainable development. Governments should mandate the various secretariats and processes to further action. Strengthening United Nations and multilateral system support. Strengthened support by a United Nations system that demonstrates a high degree of coherence and collaboration is needed. Support for the integration of the three dimensions of sustainable development also means rethinking the way the United Nations conceives its analytical, policy and operational work. 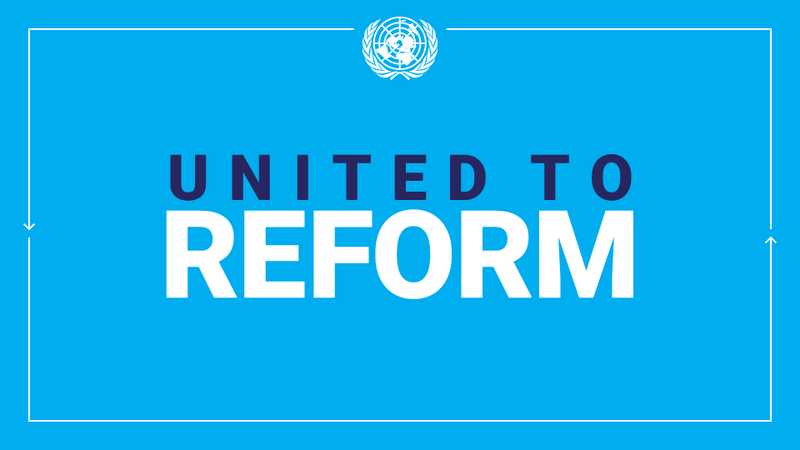 The United Nations system response at the regional level, including possible reform of the Regional Coordination Mechanism and the United Nations Development Group Asia-Pacific, should be considered as follow-up action, to be supported by member States. Political commitment, stakeholder engagement and support, enhanced capacity and a shared vision will be needed to deliver on the promise of sustainable development. This must be coupled with specific strategy and policy interventions and institutional strengthening. Only then can poverty be ended, lives transformed and the planet protected. This entry was posted in News and tagged Asia-Pacific, Economic and Social Survey of Asia and the Pacific, ESCAP, ESCAP survey on May 25, 2015 by United Nations.